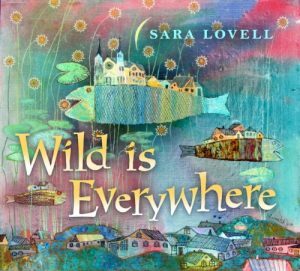 Acclaimed Bay Area Songwriter Sara Lovell Releases ‘Wild Is Everywhere’ on April 20: Giveaway Opportunity has been extended until May 2nd! 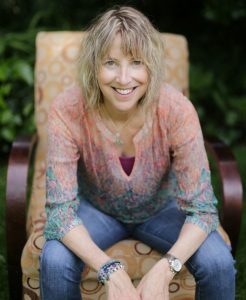 Acclaimed Bay Area Songwriter Sara Lovell Releases ‘Wild Is Everywhere’ on April 20 Giveaway Opportunity has been extended until May 2nd! Award-winning songwriter Sara Lovell celebrates the release of her fanciful new album “Wild Is Everywhere” with this all-ages acoustic show. Furry alligator puppies, pickleberry wormnut pies, run-away socks, rhinos under the bed, and flying children are just a few of the wonders you’ll encounter in Sara Lovell’s fanciful worlds. With two full-length albums of songs for kids and families, it’s apparent that Sara is not so much singing to children as she is reporting back with love from a magical landscape she inhabits. Her music is fun and guaranteed to inspire your children and dancing, smiling and singing along is guaranteed!~SoCal City Kids. Sara Lovell, an award-winning songwriter and producer known for “imaginative lyrics, sparkling harmonies, intriguing musical layers” and “a voice rich in both purity and nuanced detail,” will release her second all-ages music album Wild Is Everywhere, on April 20 (Unbreakable Chord Music/ distributed by Burnside Distribution). With a wide range of topics and musical styles, these 14 original songs journey through a landscape populated with flying children, misplaced animals of a certain size, and insects or flowers that turn up in the most unexpected places. From the Sgt. Pepper’s inspired first track, “Get Up,” where listeners are invited to “grab onto the tail of someone’s kite,” the excitement and mystery builds and expands song by song. Wordplay and a vivid fantasy life are apparent with the funky “Rhinoceros under the Bed” and “Raspberry Pickleberry Wormnut Pie.” Blues, disco and funk inflect “Bounce,” “Stand Together” and “Where You Hiding All Day Long?” Every child will recognize the unfairness when “All the Grownups Get To Stay Up Late” and the impatience of “I Want It Now,” showing that Lovell understands the big feelings that live in all of us. Sara Lovell’s first album for families, You’ve Got Me, won a 2016 Parents’ Choice Gold Award and national critical acclaim. Songs like “Dance Like There’s Music in Your Pants” remain YouTube and radio hits. In fact, her animated and live-action music videos have attracted fans from around the world. Belarus artist Anna Silivonchik, created the colorful album art for You’ve Got Me and Wild Is Everywhere. A songwriter, multi-instrumentalist and producer with a clear, strong voice and a wide-ranging musical repertoire, Sara Lovell is also a solo mom to an imaginative eight year old who loves to paint his face and dance in front of the mirror. In her home studio in Berkeley, CA, Sara continues to follow the lead of the myriad characters that show up in her songs and stories. She collaborates with producer/arranger Monica Pasqual and guitarist/engineer B.Z. Lewis to create her kid-friendly recordings. Lovell plans to release new music videos and perform concerts for children and their families this spring. Visit www.saralovell.com for updates. Sara also has an upcoming show and we have teamed up for a giveaway! One winner will win a CD and a family 4-pack of tickets to the show! To enter, leave a comment below but hurry! The deadline has been extended to May 2nd, 2017 at noon PST. One winner will randomly be selected. Self Disclosure: I received a free CD to facilitate this post. Information and images were also provided.